Peptic ulcer disease (PUD) is a condition where open sores form in the wall of the upper gut, namely the esophagus, stomach or duodenum (first part of the small intestine). 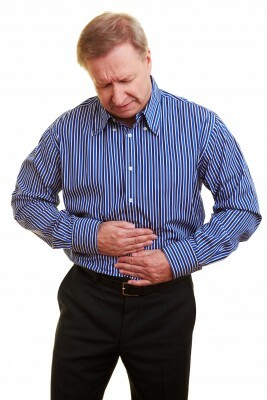 It is a common condition that develops for many of the same reasons as gastritis. Peptic ulcers may follow a long or severe bout of gastritis that is not quickly treated and effectively managed. It is one of the common gut problems that affect the elderly especially those using certain chronic medication like NSAIDs (non-steroidal anti-inflammatory drugs). Apart from causing severe discomfort, peptic ulcers can lead to very serious complications when left untreated. The lower end of the esophagus (food pipe), stomach and first part of the small intestine known as the duodenum have to at times contend with the too much stomach acid. While the stomach has a mucus barrier to prevent the acid from damaging its wall and the duodenum has several mechanisms to neutralize any incoming acid, certain causes can compromise its protective mechanism. Even in the normal state, this protection is sometimes insufficient when there is excessive acid. The esophagus had neither a significant barrier nor very effective mechanisms to withstand acidic contents. In the ideal situation the acidic stomach content should never enter the esophagus. It does occur at times especially when there is too much acid in the stomach or the sphincter between the stomach and esophagus does not prevent acid back flow. Ulcers develop when there is too much acid or too little protection to acid in the esophagus, stomach or duodenum.This is caused by two factors in particular – H.pylori bacteria and frequent use of certain medication. H.pylori (Helicobacter pylori) is a bacteria that can withstand the stomach acid and burrow into the stomach wall and lead to an ulcer. Excessive use of medication like NSAIDs and osteoporosis drugs can also cause ulcers. The latter cause is more likely in the elderly, many of whom use NSAIDs on an ongoing basis to reduce pain and inflammation in certain chronic disease like arthritis. It is also more likely since bone diseases such as osteoporosis mainly affects the elderly and medication is therefore necessary to manage this condition. Peptic ulcers may be more likely to occur and worsen in a person who drinks alcohol and in smokers. Pain is intense for a few days, resolves for days or weeks thereafter, only to return again. Pain that is worse when hungry and eases for a short period after eating. Pain that eases with antacids or other acid-suppressing drugs. Blood in the vomit which can vary from bright red to dark ‘coffee ground’ appearance. Dark blood in the stools known as melena that makes the stool appear black and tarry. Blood in the vomit or stool is a sign of a bleeding ulcer and needs to be attended to immediately. Less commonly, an ulcer can penetrate the entire wall of the gut and leak contents into the abdominal cavity causing a serious condition known as peritonitis. Acid suppressing drugs to reduce acid production. Medication to line the ulcers thereby protecting it from the acid and allowing it to heal. Antibiotics to eradicate the H.pylori bacteria. For the elderly there is the additional factor of whether to change or stop certain chronic medication that may be causing ulcers. These drugs should not be discontinued without medical supervision. Instead a doctor will prescribe alternative drugs where possible that are less likely to lead to ulcers.